All tests conducted by appointment only. Ask a Third Party Examiner at q1signup@verizon.net and receive a personal, immediate response. 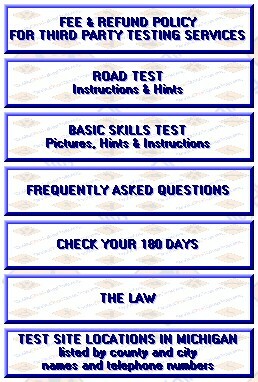 You may also schedule a Third Party Road Test by email. Send the date, time and location (Hillsdale or Coldwater) that you want to test and your phone number and you will get a telephone confirmation.